For the City of Baltimore, seventy-two year old Barbara Baynes is not only an asset to her community but also a wealth of knowledge about all things Canton—she should be, she has lived here her entire life! Born Barbara Duffy, Ms. Baynes comes from a long line of Irish Catholics—a heritage she takes great pride in by being a member of the Ladies Ancient Order of Hibernians for over 25 years. She graduated from St. Brigid’s School in Canton, The Catholic High School of Baltimore and in later years continued her education at the Community College of Baltimore. 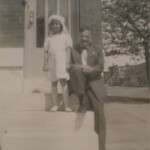 Barbara Duffy with her uncle Fritz Wagner posing on the front steps of 645 S. Kenwood Avenue before her Communion, c. 1947. Barbara’s mother was unable to attend because she was ill and her father had passed away in 1946. Ms. Baynes has always had an interest in politics and in 1976 became an aide to Councilman Don Hammen of the First Councilmatic District and later a Mayor’s Representative for Mayors Schaefer, Burns and Schmoke. In 1988, she joined State Senator American Joe Miedusiewski as his Administrative Aide. Last year she retired from United States Senator Barbara Mikulski’s Baltimore office. Barbara met Senator Mikulski in the 1960’s during the successful crusade that stopped the road from destroying many Baltimore neighborhoods including Canton and Fell’s Point. Barbara’s maternal grandparents John and Julia Randall were both born in Fell’s Point where they graduated from St. Patrick’s school. They were married at St. Brigid’s Church in 1891 because it was a mission church of St. Patrick’s and they had moved to 2234 Essex St. in Canton. Subsequently, they had six children and had outgrown their small house. When they heard of the new homes to be built in Canton, Julia would walk northeast and watch which was then Harris Creek being filled with oyster shells in preparation for development. Julia was uncertain about the move but John felt confident based on the stellar reputation of Edward Gallagher who was a pioneer home developer from Fell’s Point. They were both excited about buying a house with a buff brick front, marble steps and indoor plumbing. The approximate price of the house was a little more than $1,500. In 1912 they made a loan from The New Baltimore Loan and Savings Association of Baltimore City. All 6 of their children graduated from St. Brigid’s School. Barbara’s mother Helen was between her junior and senior year in Seton High School in 1926 when she worked for the C&P Telephone Co. That summer they acquired the first telephone in the block. Fascinatingly, the telephone number at Kenwood Ave. today remains an evolution of the original four-digit combination from 1926. 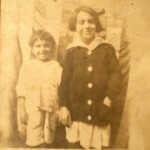 Helen Randall, still residing at home, married William Duffy in 1935 and Barbara was born in 1939. 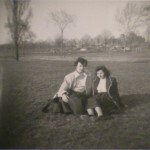 At that time, Barbara’s parents lived in the house with her grandparents and her Uncle Edward. Edward married in 1942 and moved one block away on Lakewood Ave. Barbara’s grandfather passed away in 1942, her father in 1946 and her grandmother in 1953. 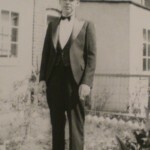 Barbara married Nelson Baynes in 1960 and they raised their 3 children Kevin, Lisa and Randy there as well. For most of Barbara’s life she was fortunate to have many relatives residing very close by – an aunt and uncle in the 600 block of S. Streeper St., an aunt and uncle in the 600 block of S. Belnord Ave. an aunt, uncle and cousins in the 700 block S. Lakewood Ave. and an aunt, uncle and cousin in the 500 block S. Potomac St. All but one of her grandparents’ children moved within a 2 block radius when they married. 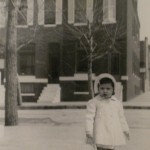 In later years, Barbara’s 3 children all lived at one time or another in the 600 block of S. Streeper St. All 3 children also graduated from St. Brigid’s School. The Canton neighborhood is bounded on the north by Eastern Avenue, Boston Street on the south, Chester Street to the west, and Conkling Street to the east. Ms. Baynes can attest to the fact that Canton is “An American Melting Pot”, to quote Theodore Roosevelt. Once a thriving industrial neighborhood and ethnic outpost, Canton is now a hip destination for young professionals to enjoy the many restaurants and activities on O’Donnell Square. Canton is an area where all kinds of people come together to share a common identity of hard work and pride. As Ms. Baynes recognized, “I’m always glad to come home” – a quote that could be the mantra of any Canton resident.